Mark Irwin is the author of nine collections of poetry, including A Passion According to Green (forthcoming from New Issues Poetry & Prose, 2017). Other collections include American Urn: Selected Poems, 1987-2014 (Ashland Poetry Press, 2015), and Large White House Speaking (New Issues Poetry & Prose, 2013). He is the author of the essay collection Monster: Distortion, Abstraction, and Originality in Contemporary American Poetry (Peter Lang, 2017). Recognition for his work includes a Discovery/The Nation Poetry Prize, four Pushcart Prizes, two Colorado Book Awards, and fellowships from the Fulbright Scholar Program, Lilly Foundation, National Endowment for the Arts, and the Helene Wurlitzer Foundation. 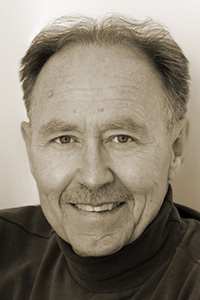 Irwin teaches in the PhD in creative writing & literature program at the University of Southern California.